Raul Gomez has been a tobacco farmer for 25 years and he has tracked down and collected the label of every agrochemical he’s ever been advised or required to use. Not only does his book contain many chemicals now banned, but he keeps a storage shed far from his home filled with empty cans and bottles that the companies never return to collect, despite claiming that they will. 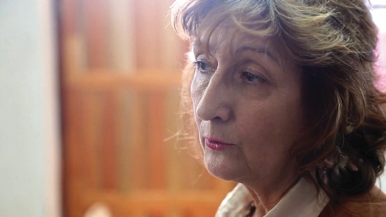 Sofia Gatica is an activist, leader of the Mothers of Ituzaingo group, and mother who lost her daughter to a kidney malformation. Her son was rendered unable to walk following a local fumigation using agrochemicals. She has been tracking the abnormal rates of cancers, kidney diseases, and other conditions in the areas close to aerial spraying of glyphosate on GMO crops. Ricardo Rivero is the Chief of Electricity in the City of Misiones. He identified a trend among the growing number of families unable to pay their bill. 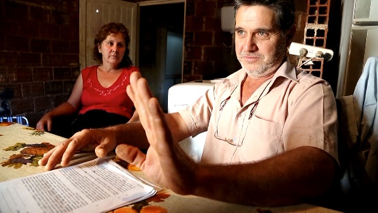 They were tobacco farmers, and their children were very sick. 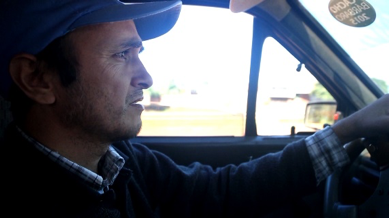 Arnoldo Texeira is a tobacco farmer living in the Misiones Province. He has been farming tobacco for 15 years, unaware of the danger, and unable to afford protections regardless. After his son Lucas was born with a severe skin condition, he and his family moved further away from his farmland, but this is of little help now that the damage has been done. 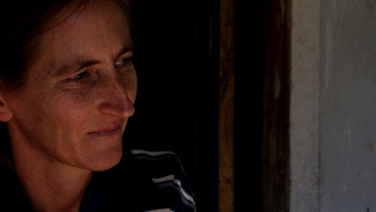 Rosana Texeira is the wife of tobacco farmer, Arnoldo, and mother to their son Lucas Texeira. 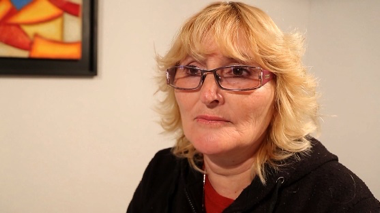 Unaware of the danger, she was exposed to Roundup throughout her pregnancy with Lucas. Lucas was born with a severe and incurable skin condition, Ichthyosis Lamellar. Lucas Texeira is the son of Arnoldo and Rosana. 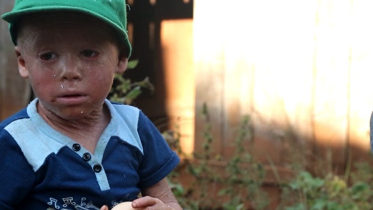 He is five years old in the film, and suffers from a severe and incurable skin condition, Ichthyosis Lamellar. This condition means that Lucas has no pores through which to perspire and cool down. Every inch of his skin itches and burns. Angelica Krauss is the mother of Lucas Krauss, who suffers from congenital microcephaly and multiple other related pathologies. Her husband is a tobacco farmer, and they are unable to stop tobacco farming because their now severely disabled child depends on both the income and social security linked to tobacco farming for the minimal but vital assistance it offers their son. 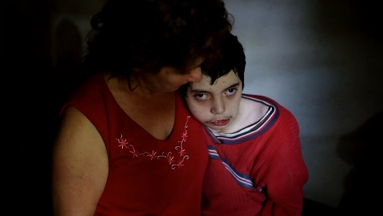 Lucas Krauss suffers from congenital microcephaly, epilepsy, delayed motor and mental development, multiple muscular atrophy, and numerous related pathologies. He is the son of a tobacco farmer. Myriam & William Nuñez are the parents of 17-year-old William Jr. Nuñez. William Sr. is a tobacco farmer, and his family has signed with a law firm for representation but are struggling with the slow progress. 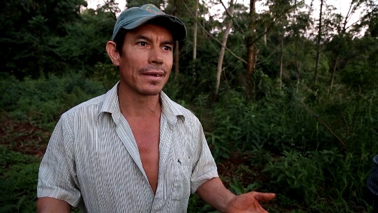 William Nuñez is the son of Myriam and tobacco farmer William. He is fed via a gastrostomy peg in his stomach, is unable to talk or walk, and requires constant care. 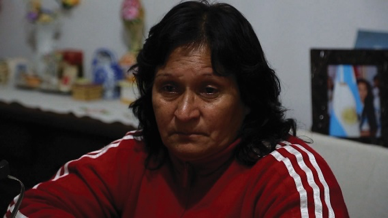 Norma is a resident of Ituzaingo and member of the Mothers of Ituzaingo group. 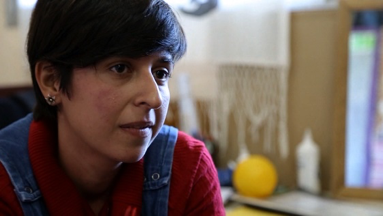 Her daughter was diagnosed with Leukemia at the age of 3, living within a cluster of abnormal Leukemia rates. 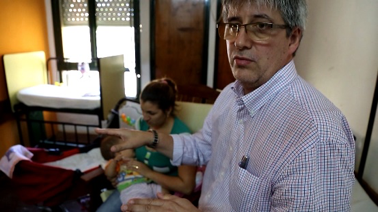 Professor Hugo Gomez Demaio is a medical doctor and Head of Neurosurgery at the Pediatric Hospital of Posadas. After seeing an ever increasing number of children suffering from malformations, he has devoted the last years of his professional life to these children, and educational programs for young people around the dangers of agrochemicals. 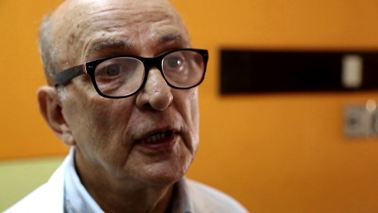 Professor Mario Barrera is a medical doctor and Neurosurgeon at the Medical School of Nordeste (UNNE) and has been working alongside Professor Demaio in diagnosing and treating these injured children. Nadia Caceres Tatarinoff is a speech therapist who travels across multiple centers for disabled children in Argentina and provides much needed therapies to the children fortunate enough to be receiving services. The number of children who need help in the affected communities is far greater than the available services. 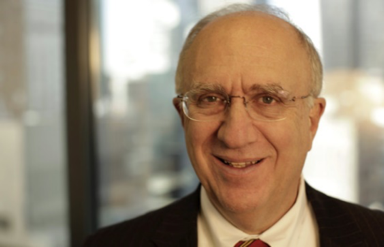 Steven Phillips is a founding partner of U.S. based law firm Phillips & Paolicelli, LLP. Over the past 40 years he has built a nationwide reputation as a pioneer in the representation of the victims of workplace injuries and environmental exposure to toxic substances. 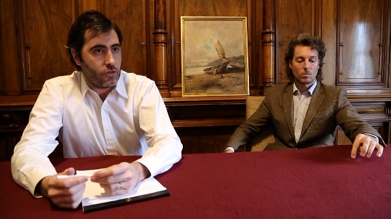 Alejandro Capilla (left) & Esteban Mustapich (right) are the co-founders of Capilla Mustapich Abogados (Capilla Mustapich Lawyers) located in Buenos Aires, Argentina. They are the Argentinian side of the team of lawyers dedicated to achieving justice for the injured children and families of Argentina. Antonia Husulak, is a researcher and teacher at the National University of Misiones (UNaM) in the Misiones Province of Argentina. She has been working and touring the region with Professor Hugo Demaio to study the productive, social, economic and environmental challenges facing thousands of families and the impact on health from the use of agrochemicals. 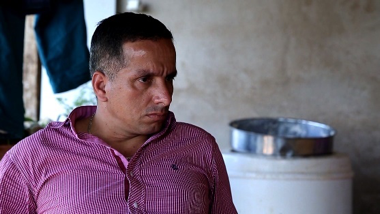 Emilio Kusik is the Vice President of Cotavi in San Vicente, an independent labor union set up to compete with the two existing tobacco unions in the region. Kusik, like many, felt the two unions were more inclined to defend the tobacco companies than to stand up for the rights and welfare of the small tobacco farmers, most of whom live in poverty.